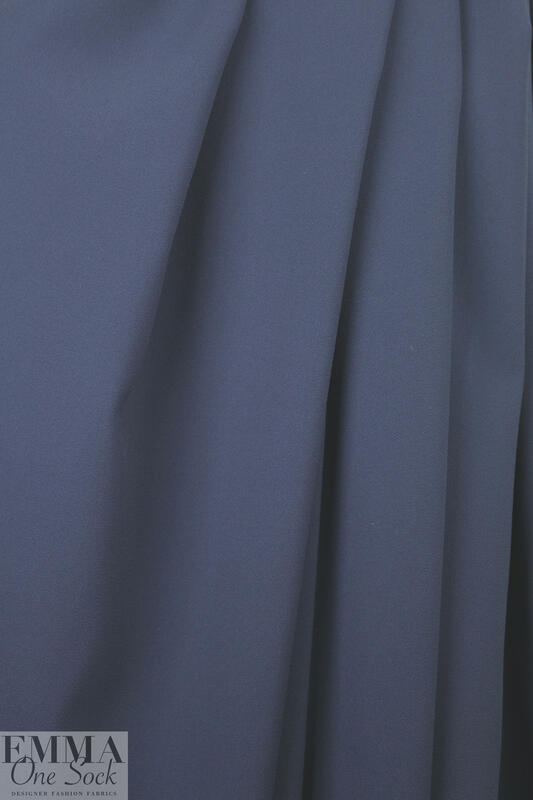 From Italy, this is a very beautiful quality all-viscose double crepe woven, a wonderful opaque dress/suiting weight with a soft drape and a very tight weave. 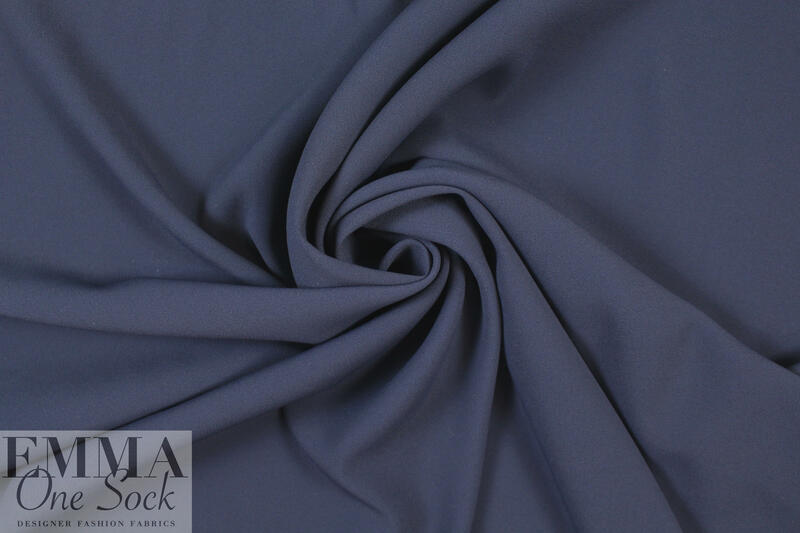 It has about 35% stretch in the width only with perfect recovery, and the color is navy (PANTONE 19-4025). 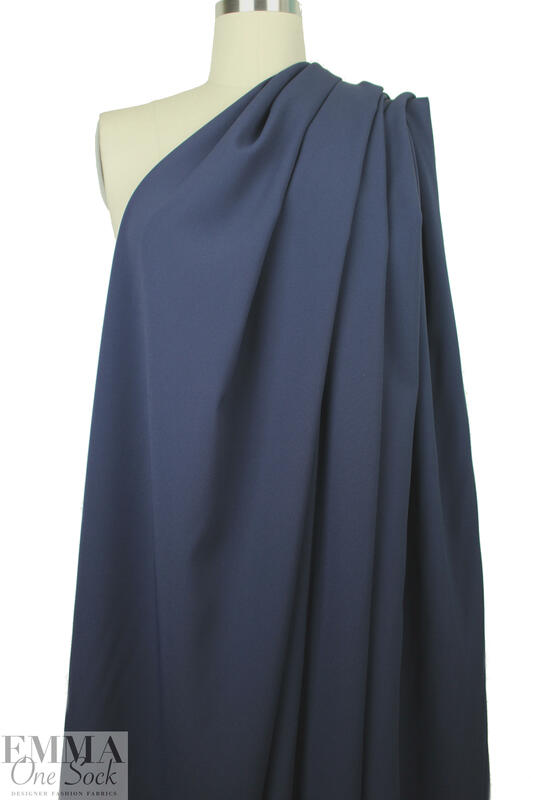 It's a modern classic, perfect for an unstructured suit, jacket, tailored slacks, sheath dress, pencil skirt, etc. for day or evening. Dry cleaning recommended.